A gorgeous Houston landscape begins with a local landscape designer who understands Houston�s unique climate and gardening style. Here at Houston Landscaping and Lawn Service, we provide everything from landscape to design to installation and maintenance. Not only can we design a breathtaking landscape, we can keep it looking its best through routine property maintenance. We offer landscape design services for Houston property owners with or without a vision. If you have landscaping ideas that you�d like to see become a reality, our designers can incorporate them into a stunning landscape. On the other hand, if you don�t know where to start, our designers are highly creative. In either case, our team is eager to help you create a beautiful, functional landscape that you�ll enjoy for years to come. In addition, our landscapers consider whether or not pets and children will be using the area as well as any personal considerations of importance to you such as water conservation or personal style. Once the design has been finalized and approved, it�s time to bring it to life. This begins with proper preparation of the grounds. Just as a building needs a strong foundation, so too do plants. Our crew will prepare the soil and plant all plants and trees properly. If irrigation is involved, installing the sprinkler system will be one of the first steps. Using heavy equipment, tools, and manual labor, your new landscape will soon begin to take shape. All the while, great care is taken to ensure that your property is protected. Depending on the landscape design, additional work may take place. As a general contractor, Houston Landscaping and Lawn Service can also handle patios, patio covers, outdoor living spaces, concrete work, decks, and much more. Once your landscape has been installed, the job is not over. 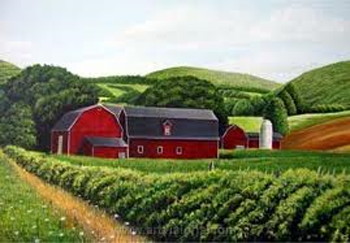 After all, landscapes are composed of living plants, shrubs, and trees, all of which grow and need to be cared for. 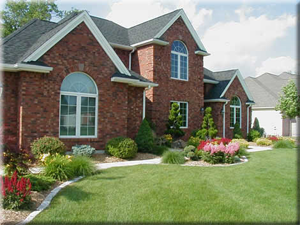 Houston Landscaping and Lawn Service offers maintenance plans to ensure that your lawn and landscape look as good in the future as they do today. We offer one-time services as well as weekly and monthly service plans. Put our expertise in plant growth, pruning and tree trimming techniques, fertilization requirements, and irrigation systems to work for you and enjoy your landscape without the hard work.